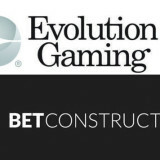 Evolution to provide Live Casino turnkey solution on BetConstruct’s Spring platform. Press release 17th March 2016 – Evolution Gaming, leading provider of Live Casino solutions, has extended its strategic partnership with BetConstruct, the B2B gaming platform provider that currently powers 200 partners globally, operating in multiple markets and 17 languages. 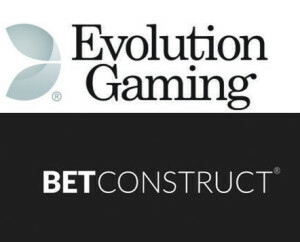 As a result of the agreement, Evolution’s Live Casino solutions will be integrated into BetConstruct’s Spring Platform. The deal will see numerous new Live Casino solutions, all streamed from Evolution’s studios in Riga, Malta and Belgium, added to the BetConstruct online offering. The new solutions will include Evolution generic live tables such as multiple variants of Live Roulette, Blackjack, Baccarat plus Casino Hold’em, and additionally 10 native speaking dealer tables such as London, Venezia, Svensk, Deutsches Roulette and a French Roulette service streamed from Belgium.